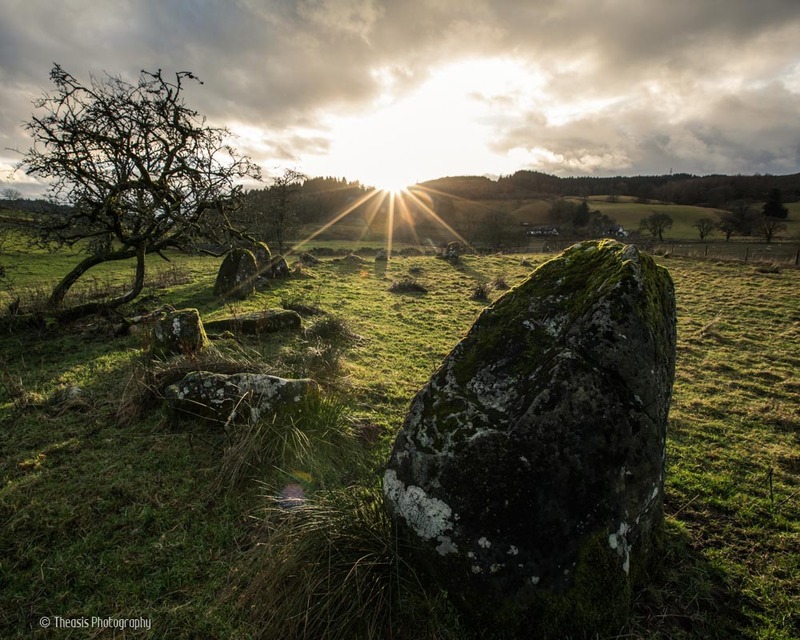 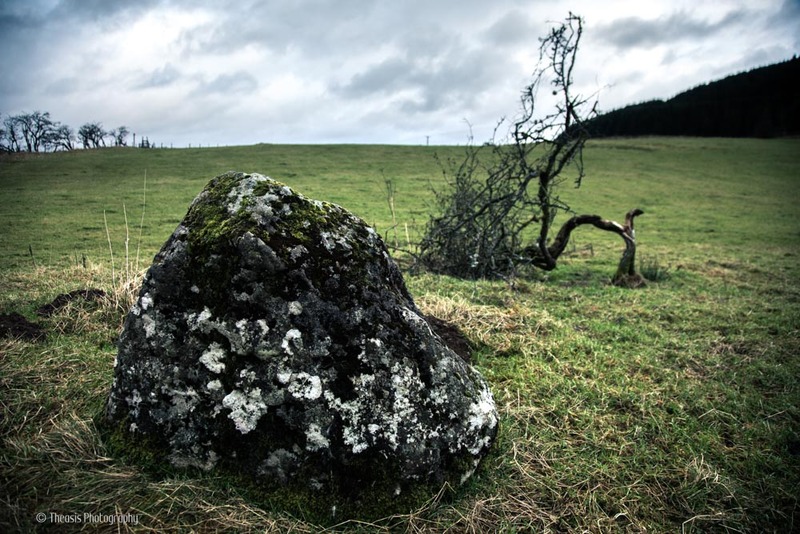 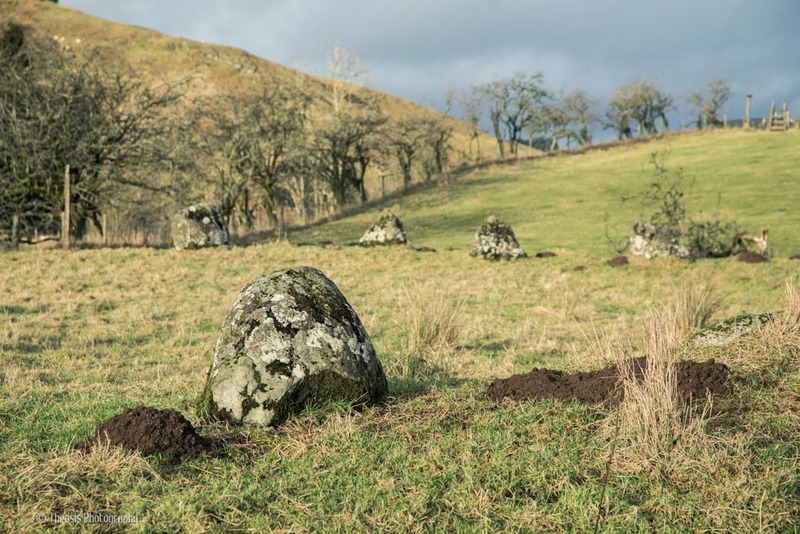 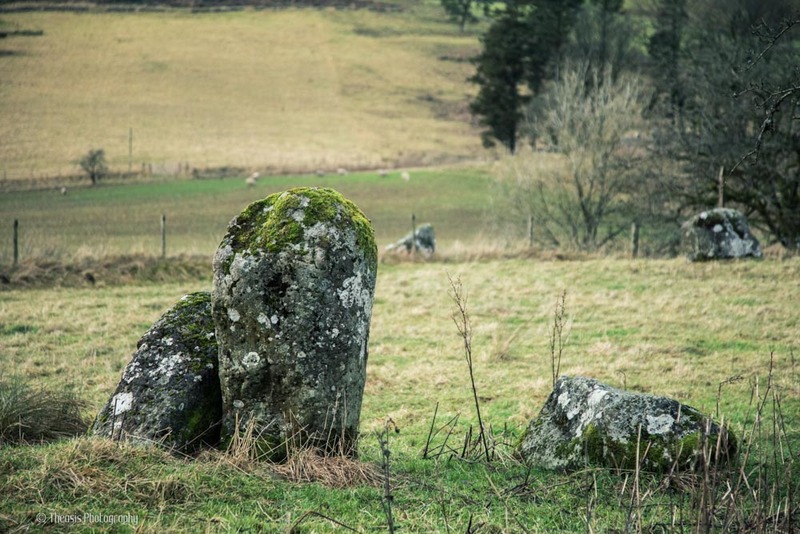 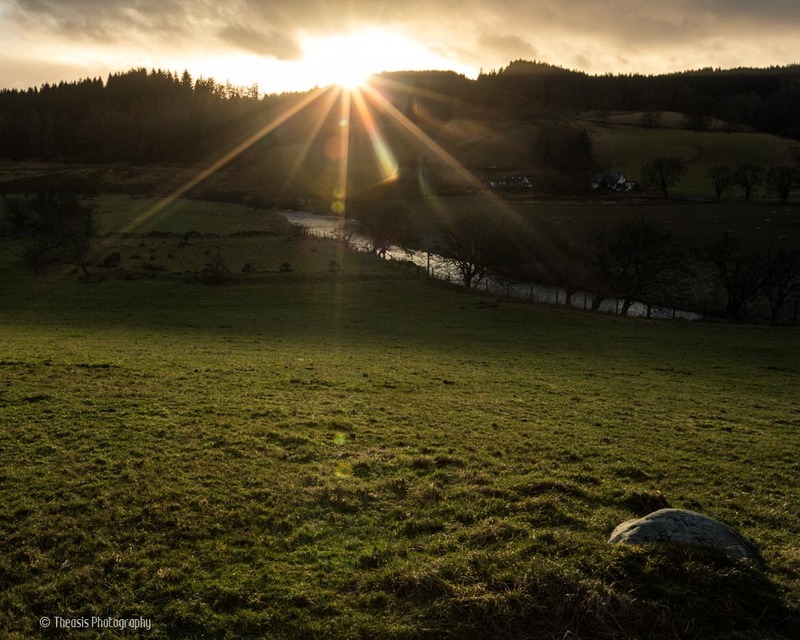 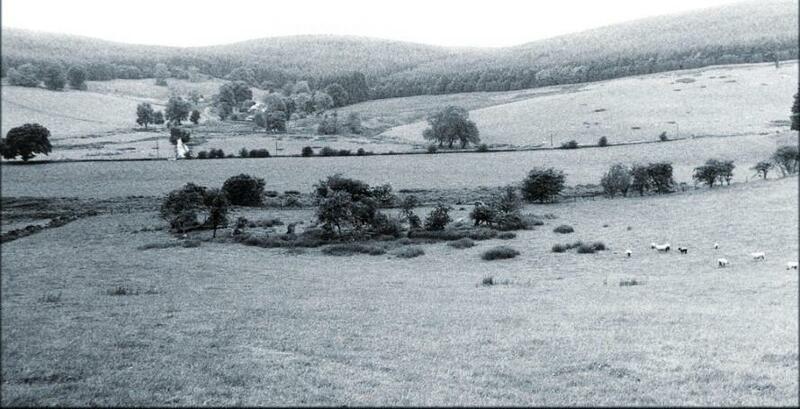 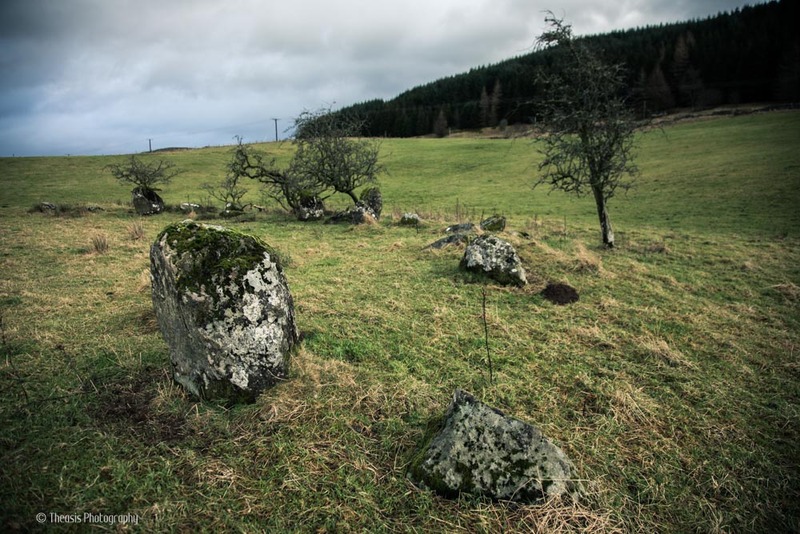 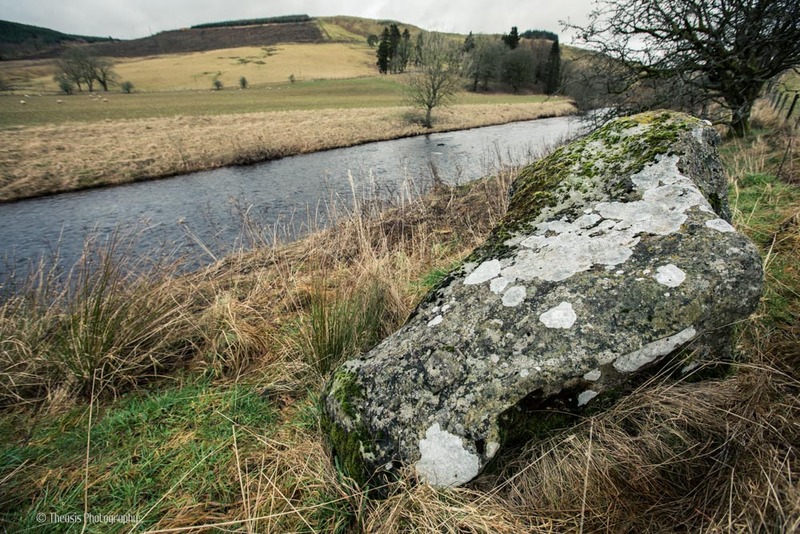 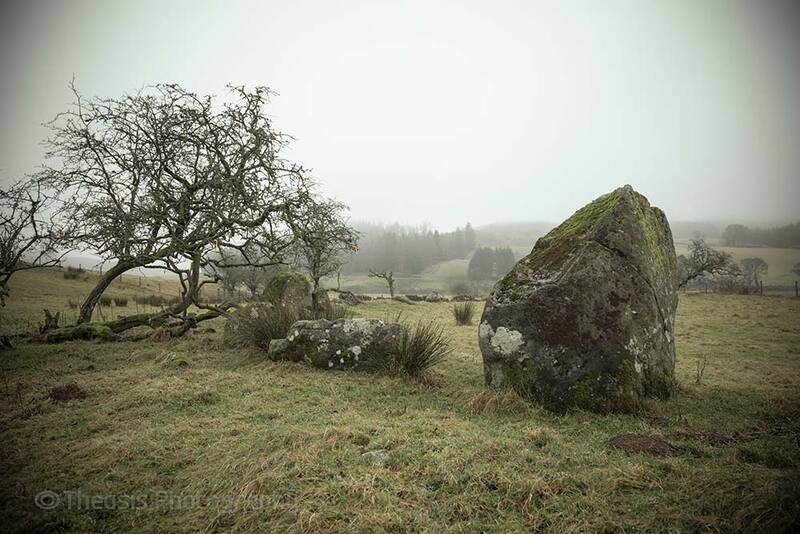 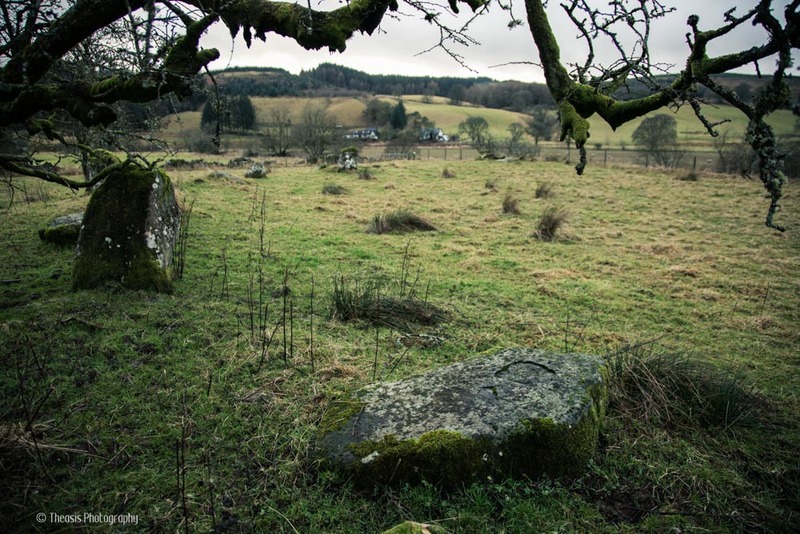 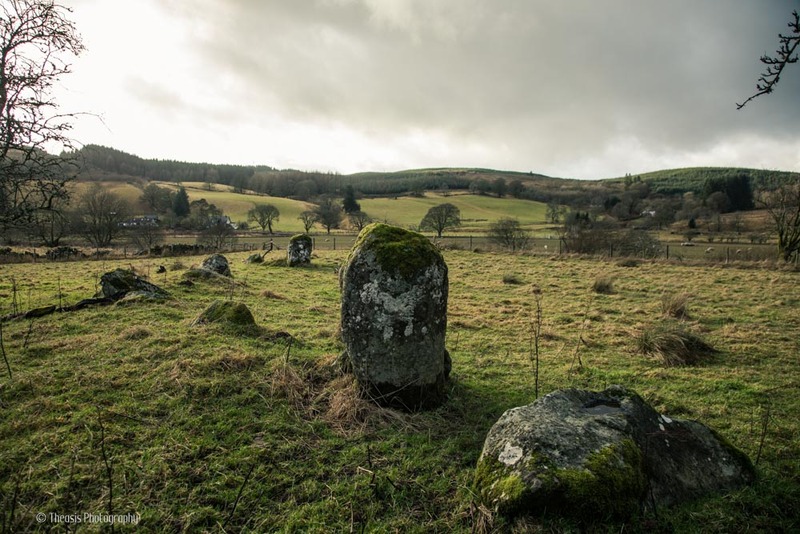 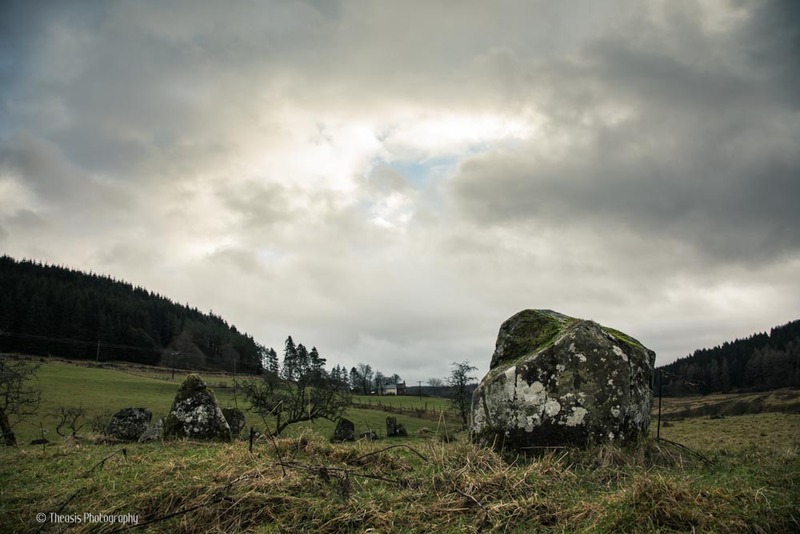 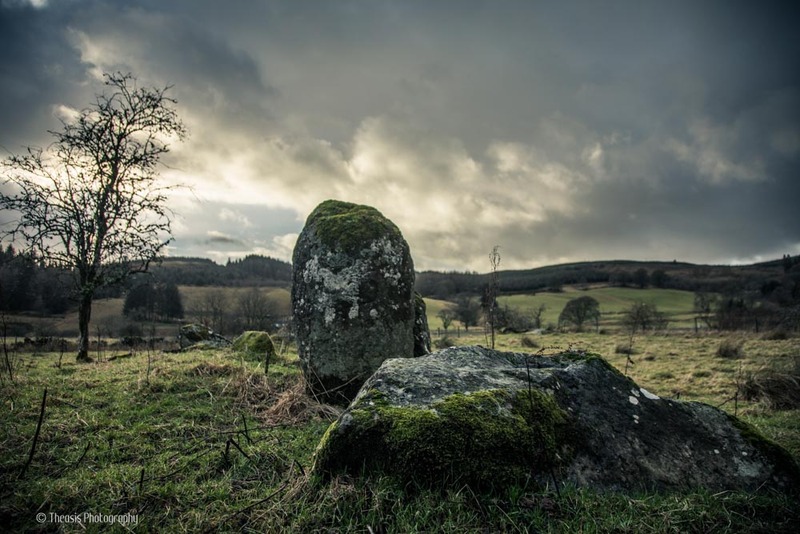 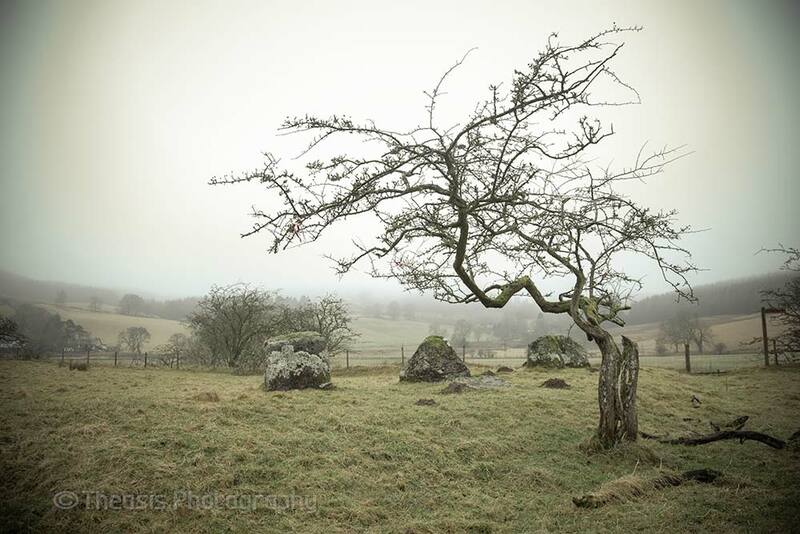 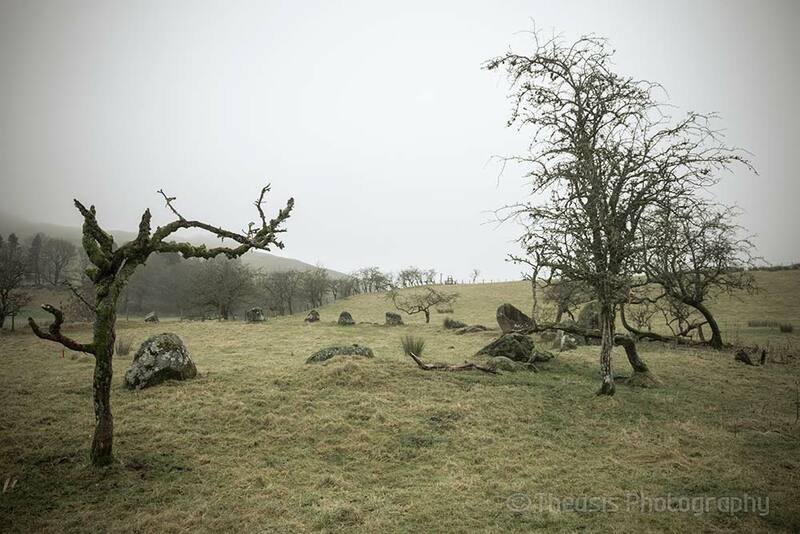 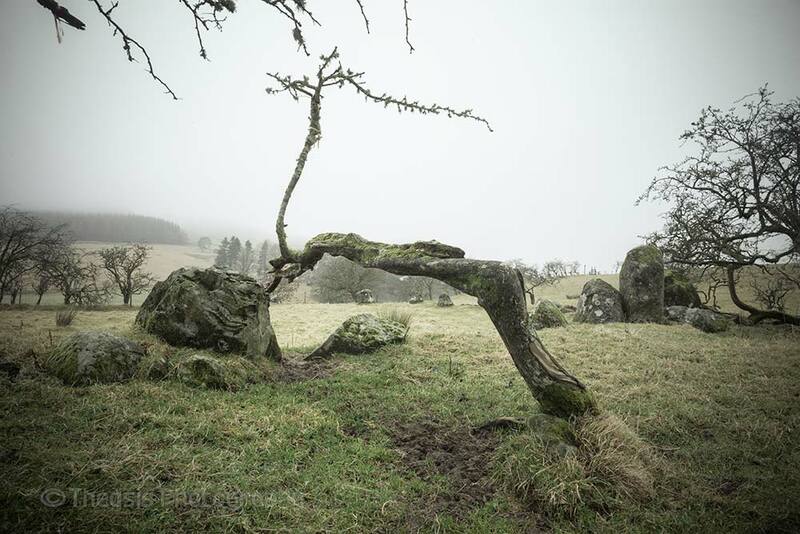 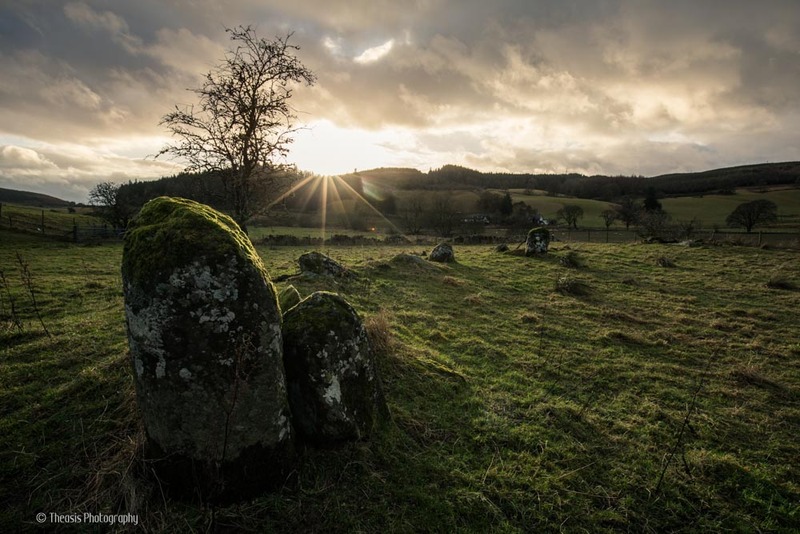 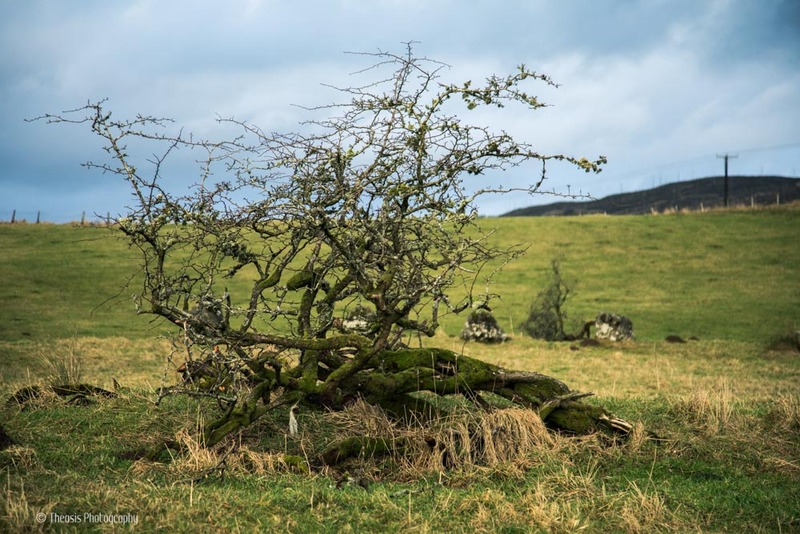 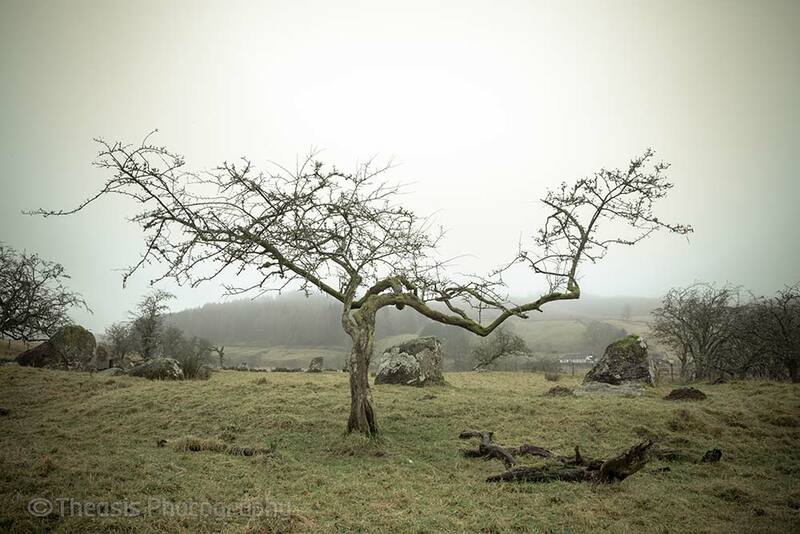 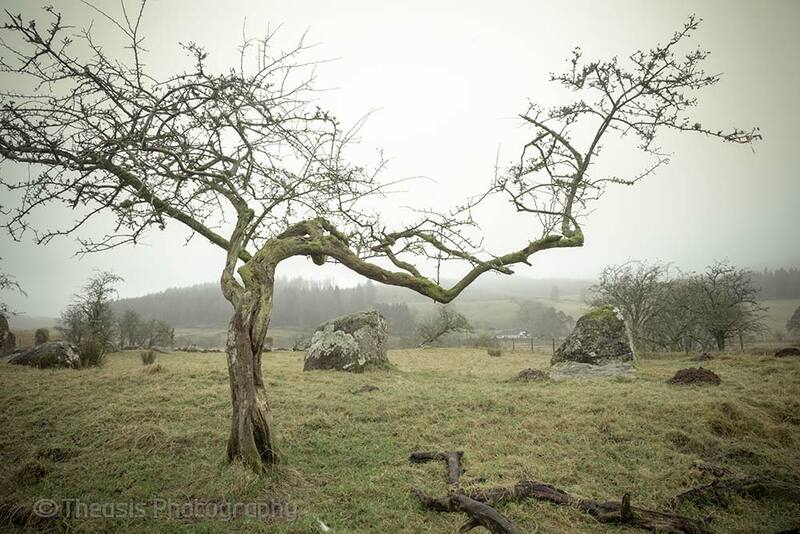 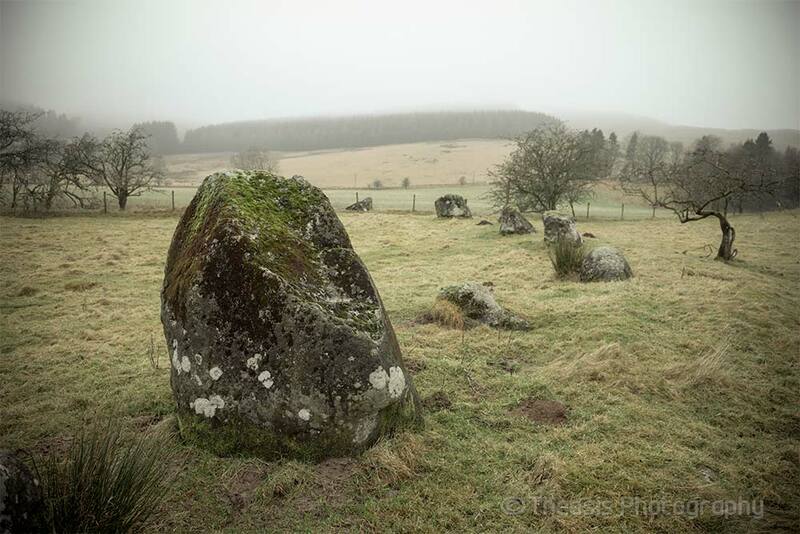 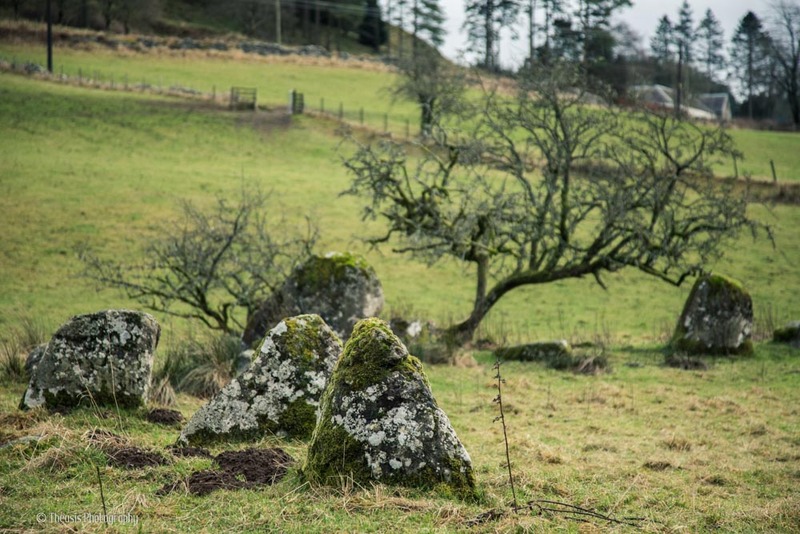 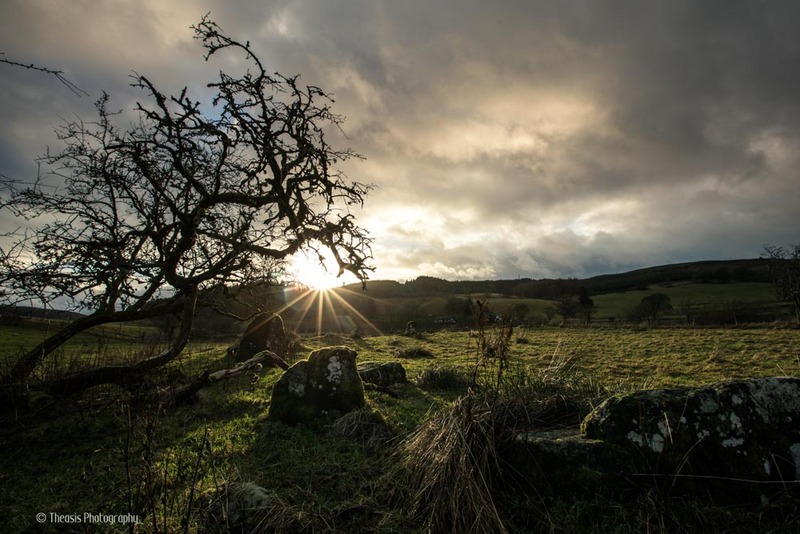 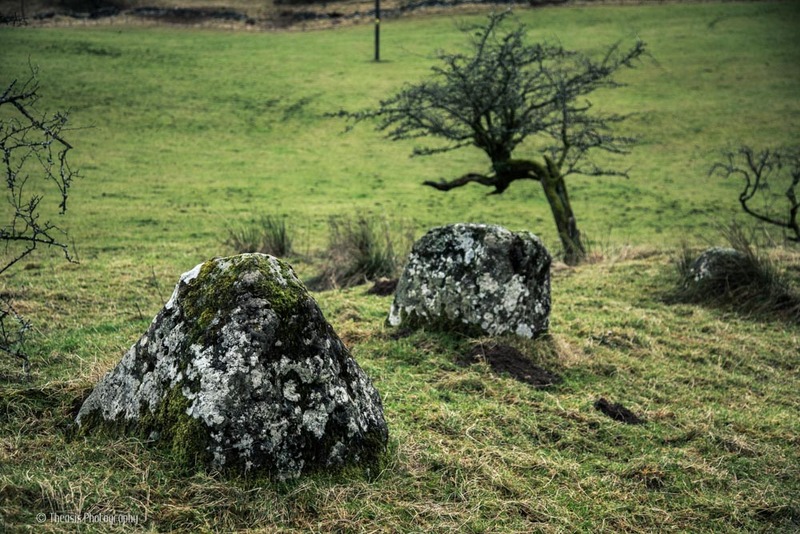 The Girdle Stanes are a few miles north of Lockerbie and just a few hundred yards from the three stone circles of the Loupin' Stanes. 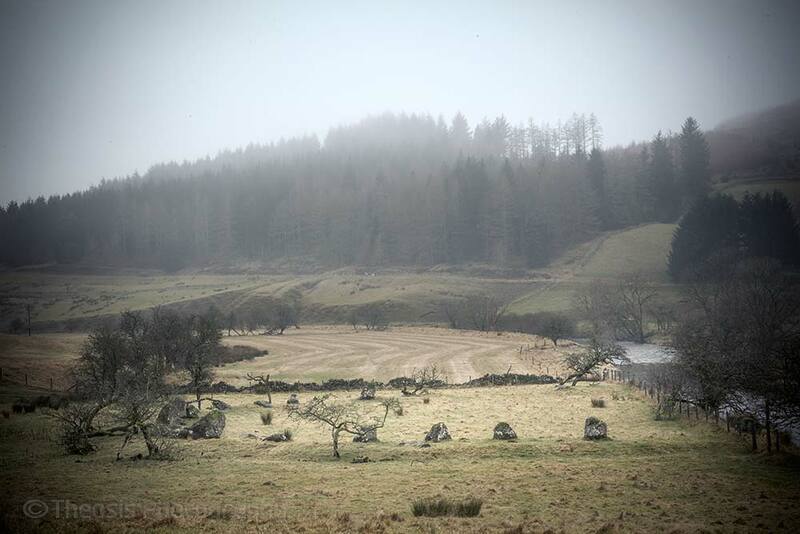 A line of fallen stones leads from one site to the other. 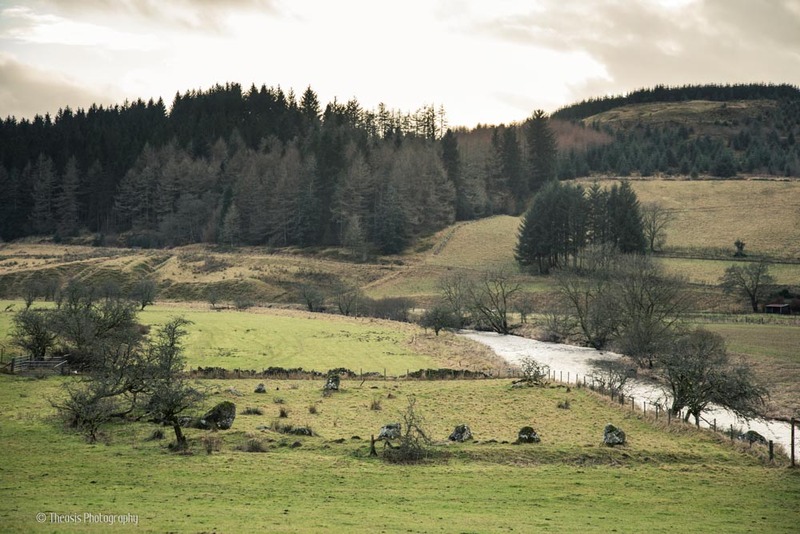 The River White Esk has obviously changed its course since the circle was constructed as almost half of the ring has vanished as the river bank has been washed away. 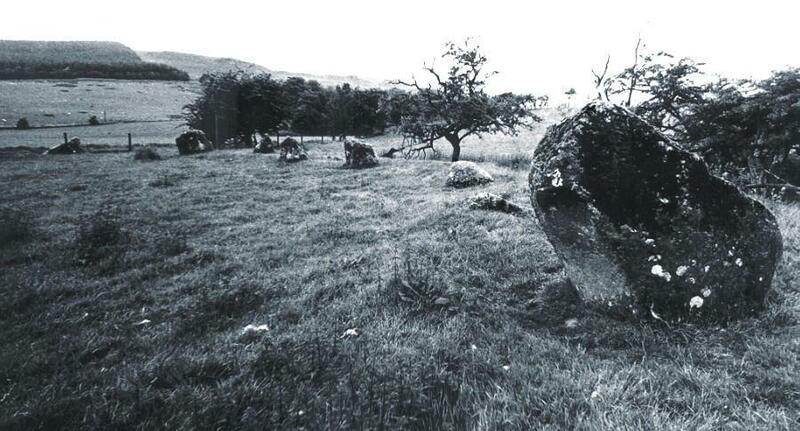 Twenty-six stones stand now, and Burl suggests that there were originally between forty and forty-five stones. 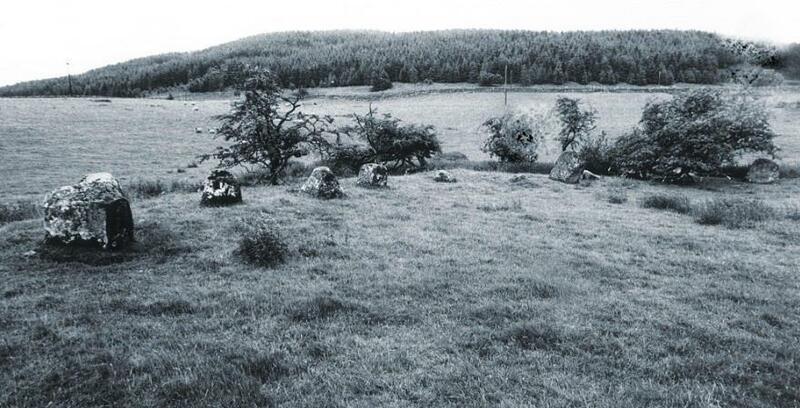 The stones stand in a bank and range in height from two feet to six feet. 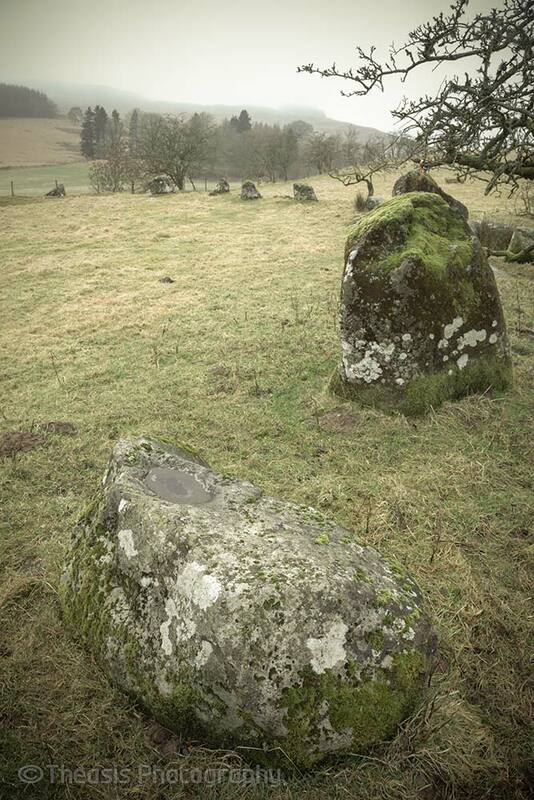 Several other stones stand just outside the circle.